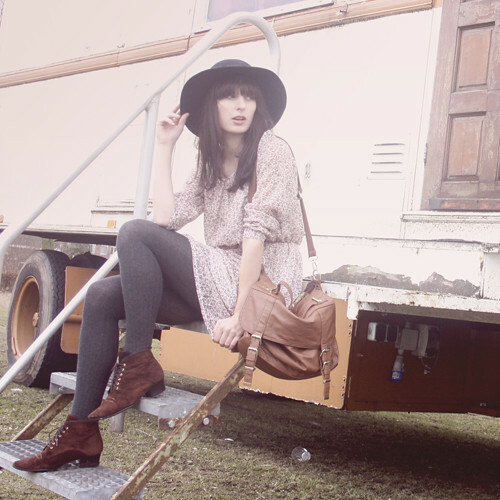 Dress from Arafeel, vintage boots and hat, Primark bag. photos by Daniel, editing by me. I promised you these photos! They were shot on the same day as this post. Yesterday the MTV Style feature was put up. Thanks so much, MTV! Again, if any of you want to follow me on Twitter, I'm @lauragommans! I love these photos, good job Daniel! And I love the tones too. Oh and I also love your boots. Okay that's enough love. You're so lovely! Are you coming to Sweden soon? I love the atmosphere of your photos, they're exquisite! really romantic atmosphere ! love your style ! Supermooi!! Prachtige foto's en wat heb je toch een heerlijke stijl! Those gray tights looks awesome with your brown boots! I would have NEVER thought to do that :) I love your blog! I love those boots! And congrats with the mtv style feature! Wauw, wat een prachtig jurkje en tas. gorgeous! i love your hat. I'm always in awe of this kind of casual chic. Love all of it. I adore your boots!! So cute. And the print on your dress is amazing! Congrats on the MTV feature, that's exciting! :) Love your boots! I like the outfit, it has a prairie/boho feel to it! you make me want to get out all my floral dresses and frolic around like a gypsie lol, so pretty. the dress and the hat are very very cute! wow laura i love this dress a lot!!! How do u do to turn your url into a .com? 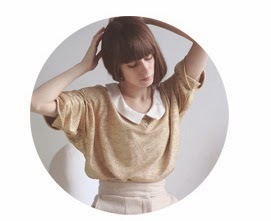 I really love your style and your lookbook-looks! Wish I lived in Amsterdam! Beautiful pictures, and love the outfit! Such pretty pictures, so soft and light! I'm in love of that outfit! I'm your newest follower - hope you can follow me too!! lovely dress. I love flower patterns!